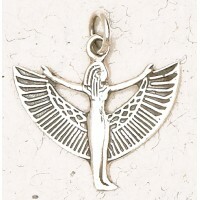 Celebrating the magic of Isis, the Egyptian Mother of Magic, this gorgeous necklace was designed by wizard Oberon Zell. Universal Goddess of ancient Egypt, Cosmic Queen of Heaven and Earth, Mother of Horus, the Sun God, and protector of all Her people. 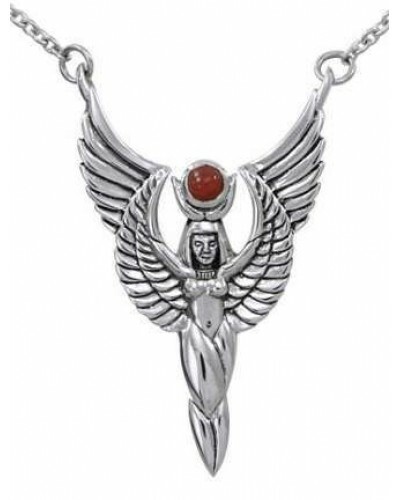 Isis became the most widely-worshipped Goddess throughout the Greco-Roman world, and the prototype for the later Roman Catholic veneration of the Virgin Mary. 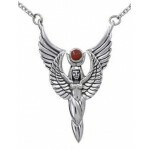 Meticulously crafted from fine sterling silver or gold plated sterling, the Winged Isis Necklace is a powerful, beautiful necklace with carnelian cabochon. 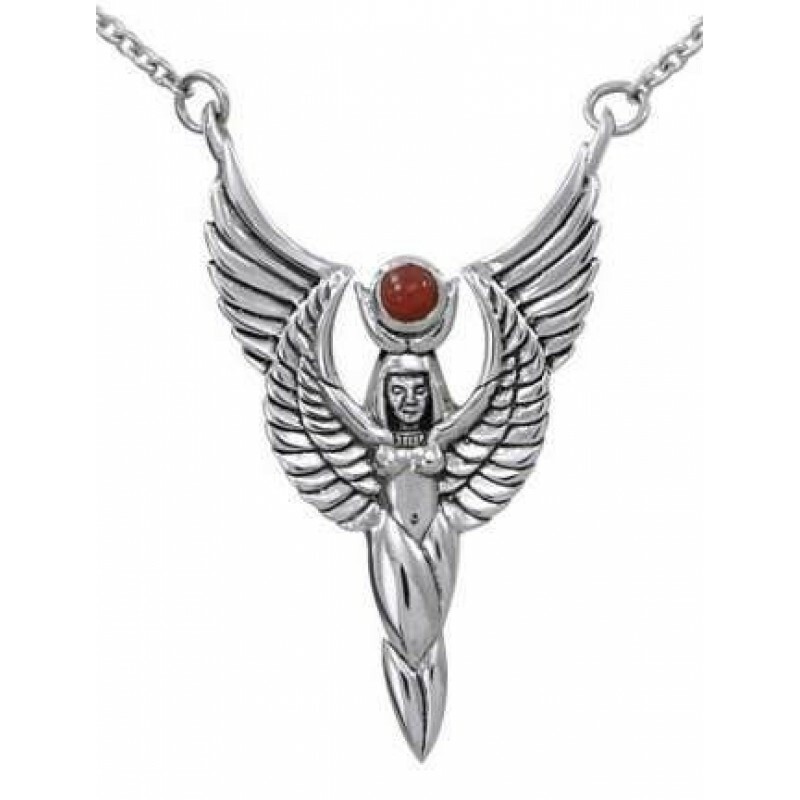 Designed by Wizard Oberon Zell, it is solid sterling silver with genuine carnelian gemstone. It comes complete on a split chain with lobster claw clasp. Measures 1 7/8 inches high. Item Number: PS-TN252 | Approximate Size (Inches): 1.00 wide x 0.05 deep x 1.75 high | Approximate Shipping Weight: 0.25 lbs.